Forget touristy Istanbul. Get a taste of local Turkish hospitality. 1. Upon arriving at Istanbul airport, I had to get a metro card. The machines weren't English-friendly and a local beside me, sensing my lost look, guided me through. I learned that the machines do not accept cards. I must have had a horrified look on me because I did not have any local currency, which was why he was kind enough to exchange Turkish Lira (TL) for my €. Not only did he purchase the card for me, he took the initiative to provide me with directions. I always thought most people would either ignore a lost tourist or pretend that they do not speak English. For one to take the time and patience to guide a foreign traveler, he must surely possess a kind heart. 2. Salespeople in Turkey are extremely enthusiastic towards tourists. They would wait out at the front door, waving to anyone who pass them by. The first question they would ask a foreigner peering into their shops is, "where you from?" We would stop in front of their shops, and play the guessing game with them to see if they could guess where we are from. Even if you did not purchase anything from their shop, they would not take offence. They are content with the simple pleasures - that you stopped to chat with them. There is no obligation involved even if you did not purchase anything, unlike other Asian countries who would pull grumpy faces if you perused their items but leave empty-handed. 3. They are extremely generous with Turkish tea. Not once nor twice were we offered tea for free, but thrice! We were at the Grand Bazaar when we decided to take a break and sip some tea. We asked a shopkeeper where we could find a stall that sells tea and she laughed at our unexpected question. Guess it is not everyday that a passerby asked about tea instead of the items she was selling. She then sent the "tea boy" over to serve us tea, and offered us seats to make us comfortable. So there we were, sitting in a jewellery shop, sipping tea. 4. 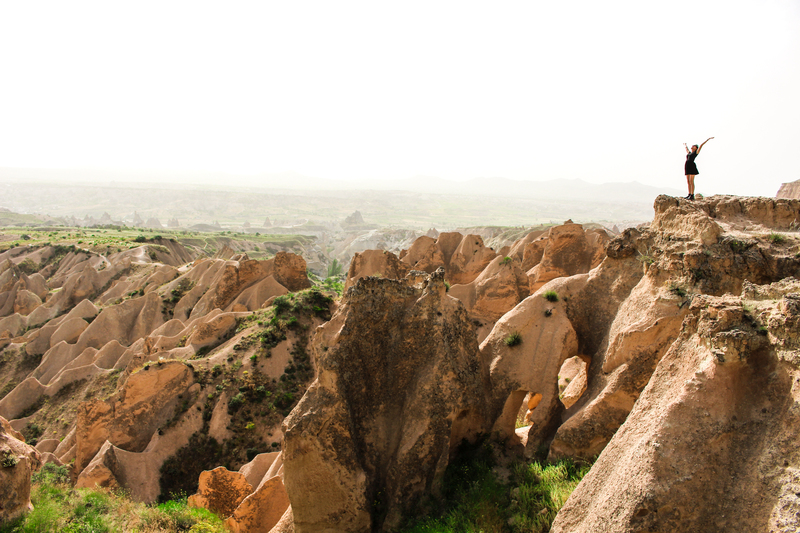 When hiking to Rose valley from Gerome in Cappadocia via an expressway, hitchhiking never occurred to us. Unexpectedly, a car stopped for us, offering to send us to wherever our destination was, despite him being unable to speak a word of English. I was especially touched by this voluntary kind act. We later learned that the distance to our final destination was 8km. On hindsight, I could never imagine us walking that distance! On the way back, we were offered the option to take a taxi for 20 TL. Declining the offer thinking that we could make it back by foot, yet again, there came another kind soul who, with his motorbike, offered to drive us downhill. En route, we noticed a local waving to every vehicle that passed him by. He waved as if each of them was his personal firend. It sure is a rare gesture in this modern, increasingly individualistic society. 5. On the way back from the bus station to the airport in Istanbul, I stopped by a small stall for breakfast. There, the young man who served me my toast began to chat me up. If there was one thing in common we had, it was our Couchsurfing experiences. Through conversing in basic English, he shared about the upcoming Turkey elections, got my curiosity piqued about Turkish history with Koreans, and recommended some of the beaten track best sights in Istanbul. He had an honest bone in him, that young Kurdish man, and I have had the greatest pleasure conversing with him. There were many other kind people we met along the way. Locals who gave us directions, locals who were more than happy to provide help, to offer us food. Add to the fact that some of them are humorous too (think of how Turkish ice cream is served). 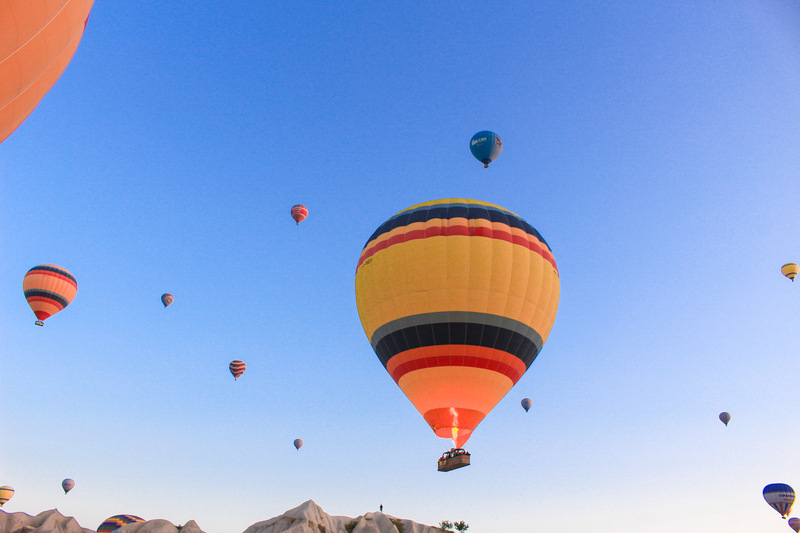 So be sure to make some friends on your next visit to Turkey! Original post on Bel Around The World.